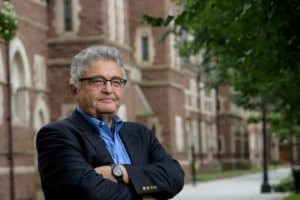 Hartford, Connecticut, January 17, 2019 –The documentary film Who Will Write Our History, based on the award-winning book by Trinity College’s Samuel D. Kassow ’66, Charles H. Northam Professor of History, will be shown around the world on International Holocaust Remembrance Day—Sunday, January 27—at more than 200 venues in 36 countries. Who Will Write Our History recounts the work of Emanuel Ringelblum and his resistance to Nazi oppression. In Nazi-occupied Warsaw of 1940, Ringelblum established Oyneg Shabes, a clandestine organization chartered to document all facets of Jewish life under Hitler and to preserve a historical record. Though decimated by murders and deportations, the group persevered in its work into the spring of 1943. Before Ringelblum and his family perished in March 1944, he and his associates managed to hide thousands of documents in milk cans and tin boxes. The “anchor” screening event of the 90-minute documentary will take place at UNESCO headquarters in Paris, France, with major satellite gatherings at the U.S. Holocaust Memorial Museum in Washington, D.C., and the Museum of Tolerance in Los Angeles. From Paris, the filmmakers and Kassow will participate in a Facebook Live discussion, which will be made available to all screening venues and to the global Facebook audience. A list of January 27 global screening locations is being continually updated on the film’s website here. The estimated time of the Facebook Live discussion is 2:40 p.m. to 3:20 p.m. EST. Read more about Kassow and Who Will Write Our History here. 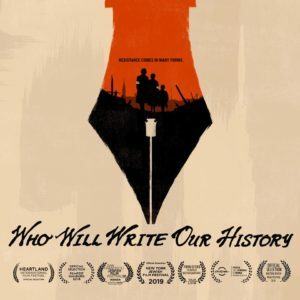 View the trailer for Who Will Write Our History. Visit the film’s Facebook page and website. A list of all upcoming screenings of the documentary is shared on the film’s website here (includes the film’s March 17 showing in Connecticut in conjunction with the Hartford Jewish Film Festival).